At iRepairMan.co.uk, we work as a family and have developed our policies to ensure your maximum satisfaction in all aspects. Each and every repair that we carry out with your phone is subject to a Two Years warranty! In case, a problem arises after the repair, you can kick back and let us repair it for you- No Extra Charges and No Questions Asked. Warranty valid for a period of 12 months after the first repair. Later on, if any harm is brought on to the gadget after the repair, we will not be liable for that. For example, if the camera on your phone is repaired by us and then you accidentally drop your phone on the floor so that the camera gets damaged, the 12-month warranty will not be applicable in that case. After the repair, if you misuse your device and damage it as a result of that, we will inspect the device for any misuse. Upon confirmation of misuse, we will not be liable to repair it under our policy coverage. Our coverage also does not extend to liquid damage. We recommend that you cover your device with a protective screen and pouch so that in the unlikely event of liquid contact, you may be able to use it again. We do not offer warranty for liquid damage which may include but is not limited to: water spills, coffee spills, dropping your phone in a container filled with liquid, etc. We do not cover any software or programming related issues. 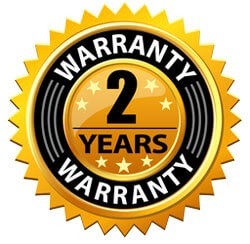 iRepairMan.co.uk’s Two Years warranty is only applicable to hardware repairs. We do not offer coverage for software problems such as battery draining, slow user-interface, connectivity issues, etc. Our coverage does not extend to flaws not identifying with the first repair done. For example, on the off chance that we supplant the charging port, the warranty would not cover a defective power button. In simpler words, the warranty is only valid for that specific repair which was initially done. We do not cover any loss of data during the repair. We urge that you store your precious data beforehand. During the repair, if any data loss occurs, neither the technician nor iRepairMan.co.uk will be liable for that. Lastly, our warranty becomes void if you or any other person/vendor carries out a subsequent repair on your device. To elaborate it, if a repair is done by us-and that repair is still in warranty-, and then another repair is made to your phone, our warranty becomes null and void after that. So if a problem arises after our repairing your phone, we recommend that you do not try to repair it yourself or take it to another vendor. If the newly arisen fault meets our coverage policy’s requirements, we will be more than happy to repair your phone unlimited times!